The Barbary Coast is no place for modesty or dignity. Jenny is a good girl who falls in love with a good man who knocks her up before they’re married. Her dad is none too thrilled about this and belts her a good one when he finds out. Jenny becomes the kingpin of the San Francisco underworld, first starting with prostitutes before working her way up to gambling and rum running. “Let me save you! Let me lead you to the better life!” the preacher, Good Book Charlie (Frank McGlynn Sr.), pleads in the Barbary bar. No one pays him much mind, except to ridicule him. It’s a raucous atmosphere. Girls switch from man to man, offering one of a dozen duplicate keys to prove their amorous loyalty and then slyly removing them from the drunkards’ pockets along with their wallets. The men brawl and bicker loudly, while an off-tune singer keeps the noise and tempo in the saloon somewhere around the surreal. 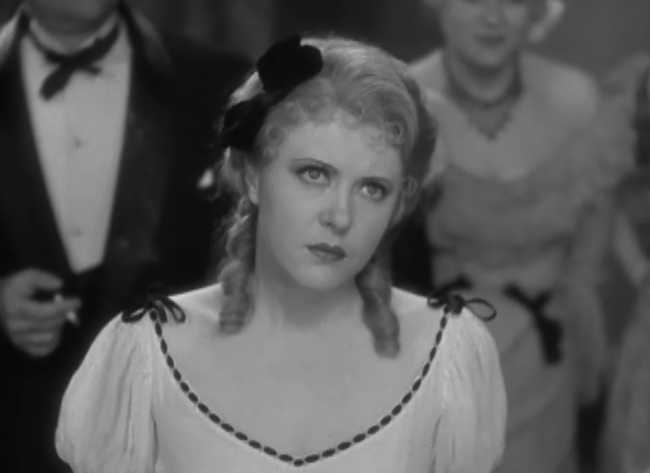 It’s here we’re introduced to Ruth Chatterton’s Jenny, a forthright teenage girl who keeps the books for her corpulent father’s saloon. Jenny seems like an oasis of reserve and hope in the madness, but we already know tragedy is in her future: a title card kicked off the movie by informing us that it’s “San Francisco, 1906”, and, brother, there’s a reason it’s not set in 1905. Jenny has had a liaison with the bar’s classically trained piano player, Dan, and is pregnant with his child. He insists on telling her domineering father, but she takes him down to the cellar and to cool his heels in a remarkably seductive fashion. With a debate consisting only of “Yes.” and “Dan…”, we see as she lures him behind a pillar and his protestations trickle off. Director William Wellman, famous for a host of pre-Codes from Safe in Hell to Night Nurse and well beyond, and screenwriters Robert Lord and Wilson MIzner really delight in suggestions, winks and nods at the audience as the first twenty minutes of Frisco Jenny submerge the audience in the bawdiness of San Francisco nearly two decades earlier. The prostitutes are wry and cunning, and we’re shown their methods with no small amount of delight as they fleece the drunk and rowdy crowds. Of course, divine retribution is waiting in the wings. Jenny finally reveals to her dad that she’s pregnant, and he slaps her hard on the face, knocking her down. His string of curses and insults has barely begun when the walls start to shake and the Great San Francisco Earthquake is on. Jenny watches her father crushed before her and, after wandering through the ruins of the city, learns that her lover is dead too. Now she’s pregnant and alone in the world. 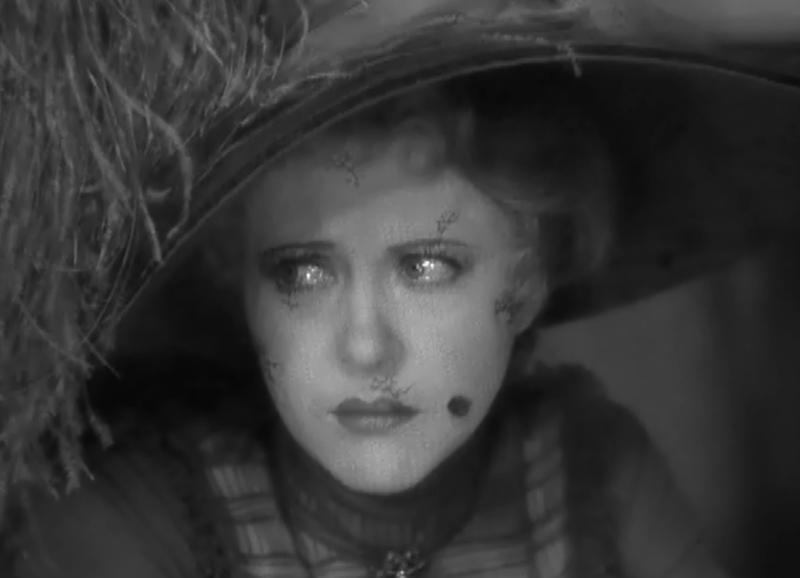 Her only friend is Amah (Helen Jerome Eddy in some seriously ugly yellow face), and she takes the poor girl in. Jenny gives birth to a boy in the catacombs of Chinatown, and she yearns to get on the straight and narrow to keep her baby safe. But things aren’t that easy. We know that before Jenny even has her hands on the kid thanks to Wellman’s visual stylings, which place a foreground diagonal beam between Jenny and the smiling Charlie, seated at the foot of the bed. The split becomes final a scene later, as a Salvation Army march nets Jenny only a few measly coins. With anger in those great Chatterton eyes, she announces it’s time to move on. If someone makes a promise to go wrong in the early 30s, odds are they’ll make good on it pretty handily. Jenny, who has already built a well of sympathy in the audience, is on the first steps of an amoral climb to the top—she’s serving prostitutes to a hotel for a group of loaded lawyers. 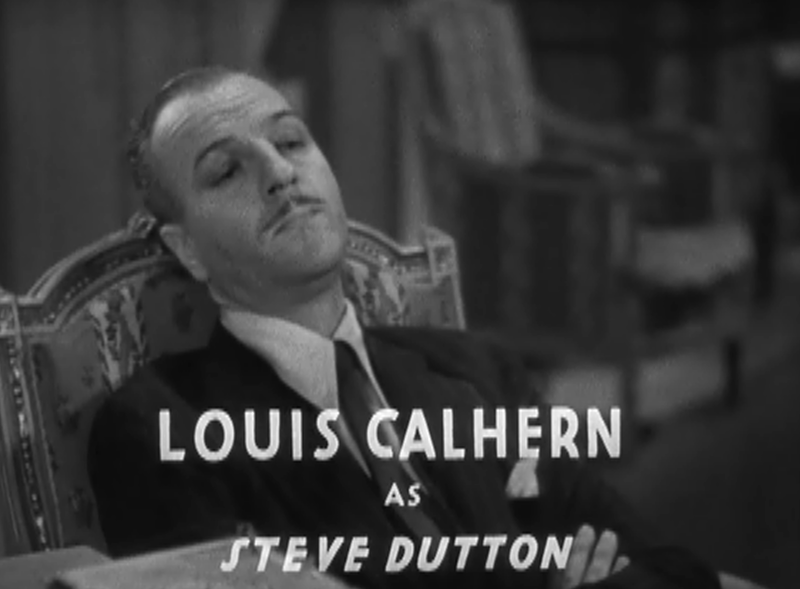 She then proceeds to help out an old friend, Steve Dutton (Louis Calhern), to escape a murder rap through the clever disposal of a handgun in a cake. A few years have passed and Jenny finally sees her opportunity. She’ll take her son back and head below the border where she they can be safe. One catch, though—it’s been a few years and her son has grown attached to his adopted family. Dan refuses to go, and Jenny, sensing that it’s for the best, leaves him. Heading the back to the city with Dutton, Jenny reluctantly realizes there’s only one thing she has left—her empire of vice. (One cute note—you see them crossing from Oakland to the city by ferry, a necessity until the Bay Bridge would be opened in 1935.) Unmoored without love, Jenny ascends to the throne as San Francisco’s queen of the underworld. As the time rolls ever closer to the present, she’s become head of bootlegging for the city, buying politicians and keeping all of the vice under her thumb. Dutton and Amah remain at her side, the only people who know that Jenny secretly keeps a scrapbook full of her son’s accomplishments. To everyone else throughout the city, she’s a figure to be feared and respected. Her son, meanwhile, has gone from football to, yes, crusading district attorney. Jenny even gives him a secret nudge, eliminating one of her own paid politicians from consideration to help him clinch the job. Of course, the problem is that the son is about to usurp the mother. Dutton sees one solid possibility—tell him the truth about his lineage and keep him in line. Jenny objects strenuously—strenuously enough to kill Dutton on the steps of Dan’s office. 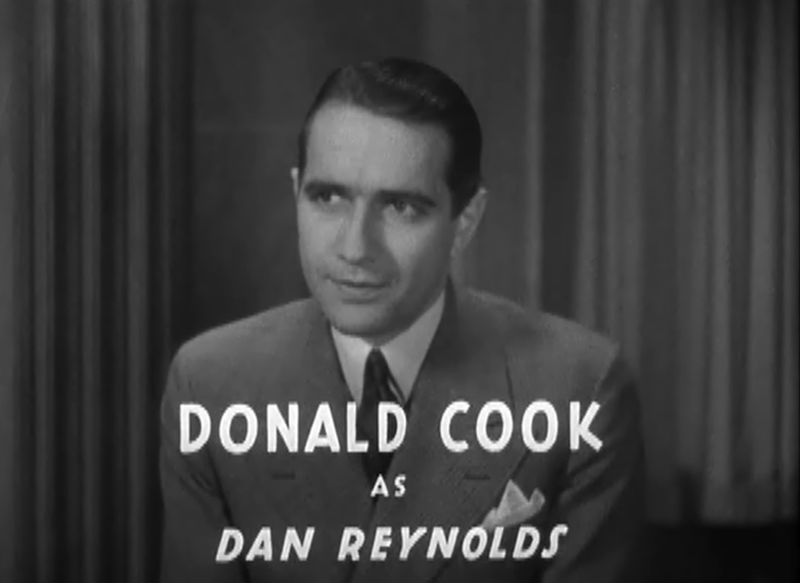 With himself as a witness, the courtroom scene as Dan decimates and rails against Jenny is a thundering indictment. 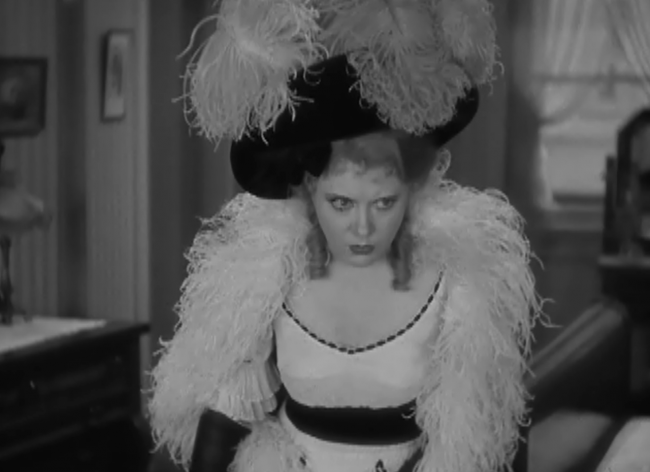 Wellman let’s Donald Cook summate angrily as we whip pan through the supporting cast and often back to Chatterton, a torn up mixture of pride and sadness crossing her face as she is railroaded. She refuses to take the stand. Dan angrily explains to the jury, “Search as we will, we can find no redeeming trait in this defendant’s life. No redeeming feature in her character.” She’s convicted handily. The finale is the film’s major weak spot. Do they really expect to wring tension out of whether Jenny will tell her son the secret she’s already killed over? The scene in the jailhouse, as Jenny waits for the noose, is done with Chatterton in no makeup and all of her high fashions gone. She’s left in merely a black shirt and unkempt hair, stripped to her core both emotionally and physically. For a moment, she’s tempted to tell Dan the truth and save herself. But as Dan arrive and pleads with her to tell him why she didn’t defend herself, it only hardens Jenny’s resolve. She loves her son too much to harm him. That’s a mother’s love, the movie assures us—self-sacrificing and noble in the face of death. 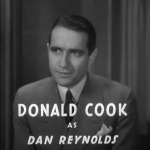 The film closes with Amah burning the pages of Jenny’s scrapbook. History is destroyed, good triumphs over vice, and the world becomes a bit simpler. For good, there needs to be bad. For vice, there needs to be hope. And for Jenny, there had to be her son. He redeems her. By killing her. 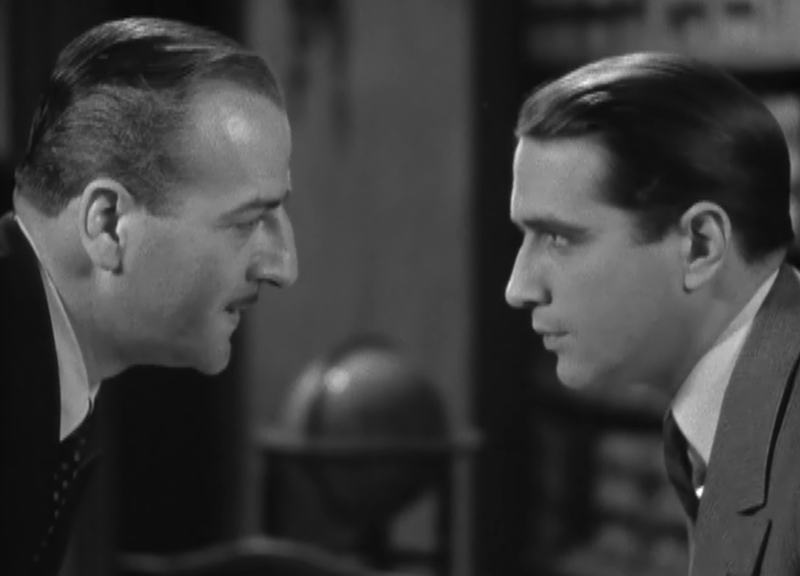 There’s some disagreement on the film’s box office returns, as Frank Miller at TCMDB says the film “wasn’t a success” while Scott O’Brien’s Chatterton biography notes that it was drawing in massive business on opening night. 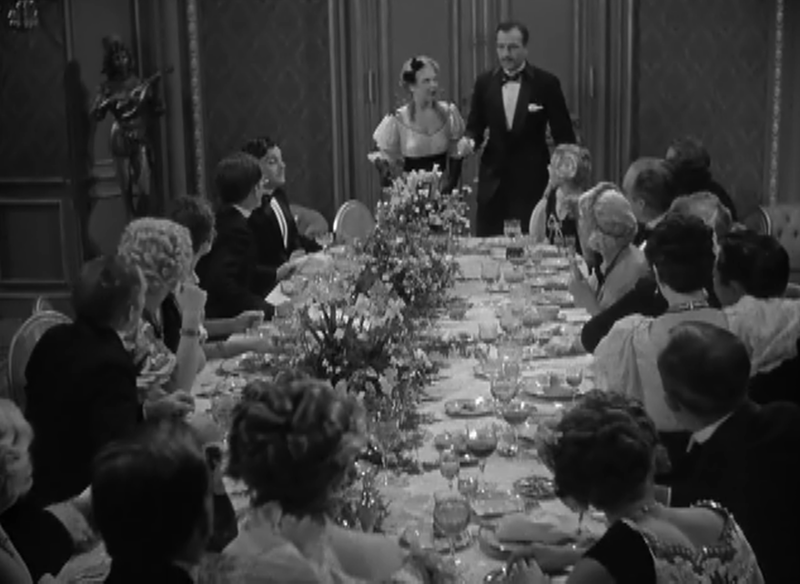 It’s often-hazy association with Madame X and its gleeful depiction of vice would keep the film in the vault for decades, which left it a nice surprise for when Warner Bros. began their Forbidden Hollywood series of DVDs. 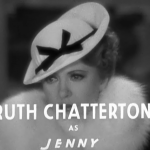 While not an especially illicit or daring movie, Frisco Jenny showcases Ruth Chatterton at her best. It also showed how mature, strong women were given showcases that could be just as dirty and two fisted as the men’s pictures being made. 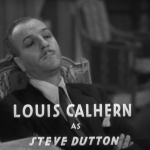 Wellman’s energy behind the film and the performance of Chatterton and a surprisingly sincere Calhern make it a treat for fans of pre-Code cinema. 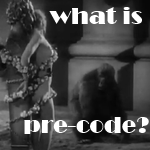 A more in-depth discussion of this movie is available in fourth issue of The Pre-Code Companion. You can also see other available issues and topics covered in the series by clicking here or on the banner below. The only problem was Chatterton’s reputation for fighting with directors. 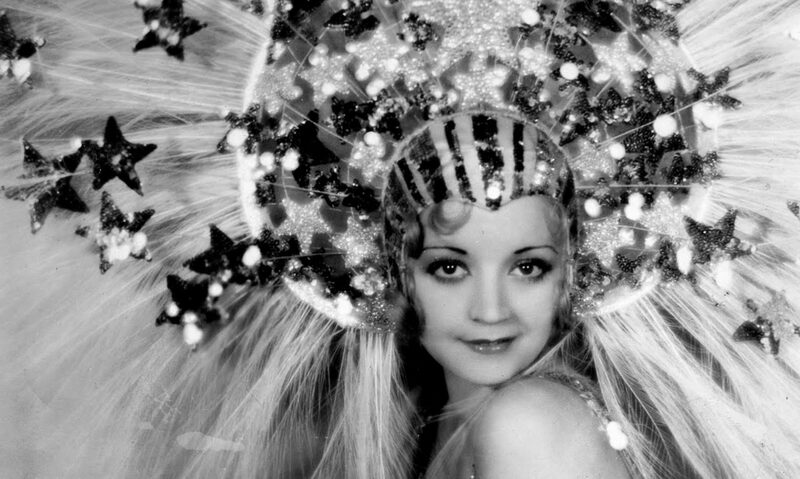 Far from an insecure starlet, she had come to the screen confident in her abilities as an actress and her sense of what made a good story (she would later become a successful novelist). When Zanuck introduced her as Wellman’s new star, the director refused to work with her. Having heard of Wellman’s reputation, Chatterton issued her own refusal. Zanuck had to threaten to destroy their careers to get them to work together. At first, they kept their distance. 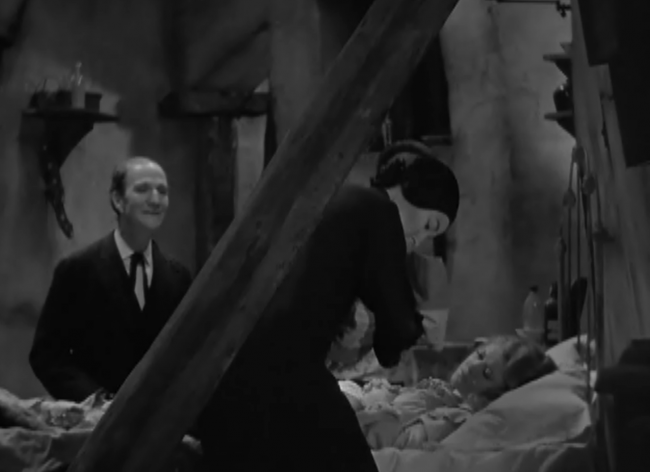 Wellman worked on the script without consulting Chatterton, and let an assistant director handle her costume tests. When shooting started, they barely spoke to each other. After three days, however, she called a truce, claiming that up to that point it had been her most enjoyable filmmaking experience. He was happy to acquiesce, having realized what a good actress she was. 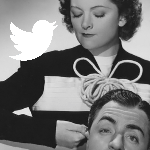 In addition, she was married to George Brent, an actor he admired. As a result, Wellman and Chatterton became good friends, and she would later hail Frisco Jenny as her favorite film. Judy, over at Movie Classics, pins down the appeal of this story. 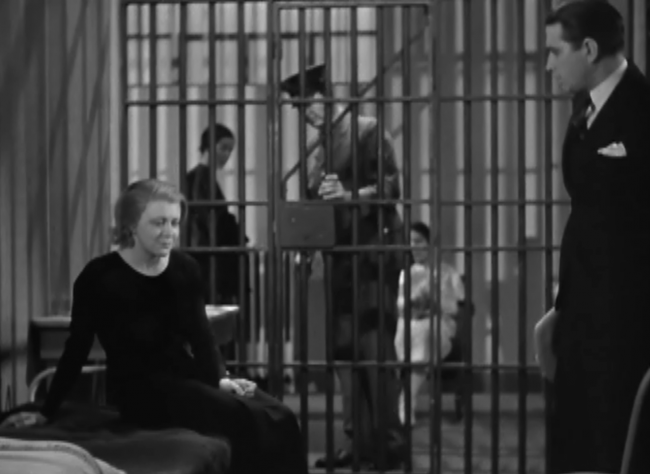 There were a lot of films involving noble, self-sacrificing mothers around this time – I suppose partly because giving up everything for your child is seen as the ultimate in female heroism, and this was all the more so in the context of the Great Depression. Also, as so many mothers really had been forced to give up children for adoption, this was something which would strike a chord with many people. It also strikes me that stressing the heroine’s role as a mother is a way of making her sympathetic despite her life of crime – so the audience doesn’t have to feel too guilty about rooting for her as she lies, covers up murder, runs a vice ring and fights the legal authorities all the way. This is rather like the way male gangsters, such as Tom Powers (James Cagney) in Wellman’s The Public Enemy, tend to love their mothers, giving them a chink in their armour. Lobby cards and posters for this at Doctor Macro. Those lobby cards look pretty great, with one recently selling for over $400. DVD Beaver has a few more screenshots and discusses how well the DVD looks. The 1906 San Francisco earthquake was a beloved focal point for the early movies. A then-modern Sodom and Gomorrah, San Francisco was known for being a depraved town that relished in its sin. And, as sure as you can read, Hollywood loves setting movies there, happy to indulge in the blasphemy before the fall and the heavy handed moral overtones afterward. Frisco Jenny switches the time line up a bit, but you can rest assured that every beat will be punched ruthlessly and continuously for as long as needed. 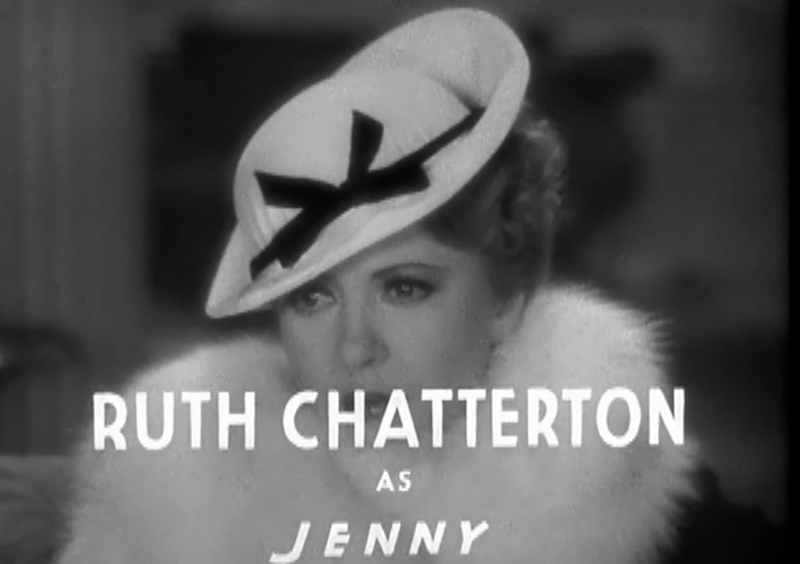 Ruth Chatterton plays Jenny, who runs a pretty decent bar before the quake. Don’t get me wrong, there’s prostitutes who work for her, but she and her father run a pretty smooth ship of a business. But when dad finds out that Jenny is pregnant, his anger boils over into the incredibly well-timed earthquake. And while the weight of being a single mother and a business owner sure begin to take their toll, a murder plot soon envelops the brothel. Jenny covers up for a lawyer friend, and decides to hide her son with some of the lawyer’s relatives as not to lose him to child welfare. Are you following me so far? Well, after the hoopla has died down, the young son refuses to go home and Jenny, not realizing that the will of a four-year-old is easily abated with sweets, decides that growing up somewhere away from prostitutes and murder might be a good change of pace for junior. We then fast forward through the years as a proud Jenny cuts out clippings of her son, Dan, as he plays on the football team and becomes a lawyer. Oh, and irony of ironies, he’s one of those driven, moralistic types, who is taking all the scum out of San Francisco. Including, in an irony of ironic ironies, the woman he doesn’t know is his mother! If any of the plot sounds familiar to you– and if you’ve seen female centric melodramas from the first half of the 20th century, it does– it’s even worse where Frisco Jenny comes in. Besides the usual actors in yellow face and prostitutes who look like movie stars, it commits the bizarre crime of being horribly derivative of a movie from two years earlier named Madame X. It also didn’t help that that movie also starred Ruth Chatterton as a brothel madame who ends up going to trial for the case of a murder; that Jenny’s son prosecutes her while X’s son defends her is simply a hysterically minor deviation. But I’m here to review Jenny, and I’ll keep going down that route. As I said, it’s an old story, and the movie doesn’t attempt much of anything new with it. 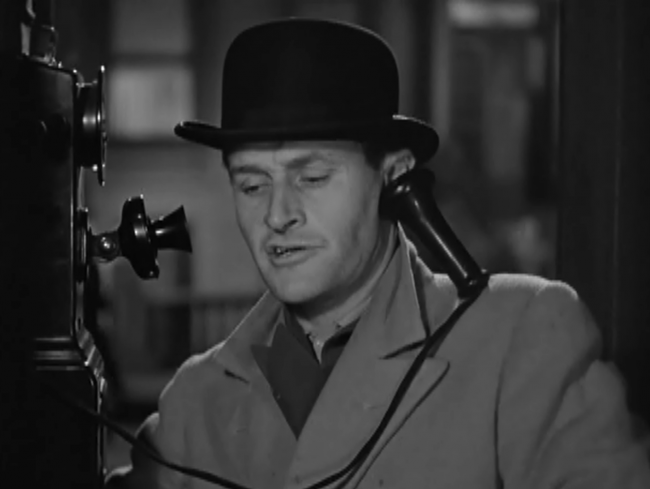 The director, William Wellman, can be jocular and engaging sometimes, and the sequences at the beginning of the film with the earthquake are spectacular at the time, but the film slows down to a crawl soon after. Despite his efforts, Frisco Jenny never feels like much more than a cheesy story told in a fairly drab manner. Though star Ruth Chatterton has a very pretty face– very much a possessor of those Bernadette Peters eyes that some performers are blessed with– and she and the earthquake footage are probably the only reasons worth watching Jenny. For all the sin in the world, it still needs some spice to make it compelling. It’s old fashioned and predictable, but it moves, both in terms of film style and the actual ground it covers[…] Highlight sequence is a delightful business meeting of the various madames working for Miss Chatterton, a model of how to be explicit without being offensive! As in “Safe in Hell“, Wellman uses some quite curious angles at times — the elbow of a violinist for example is used to open and close one little scene — but on the whole the approach is workmanlike rather than arty, full-blooded and gutsy rather than subtle. It’s one of the better of the lesser-known Wellmans of the period. 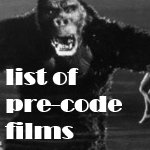 This film is available in Forbidden Hollywood, Volume 3, along with Other Men’s Women, The Purchase Price, Midnight Mary, Heroes for Sale, and Wild Boys of the Road. You can buy the collection at Amazon.